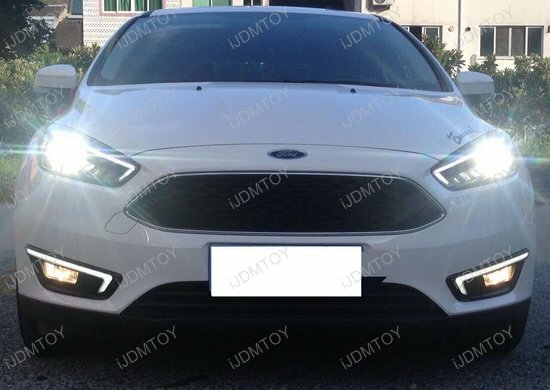 A: This set of LED daytime running lights will fit 2015-up Ford Focus (does not fit ST). 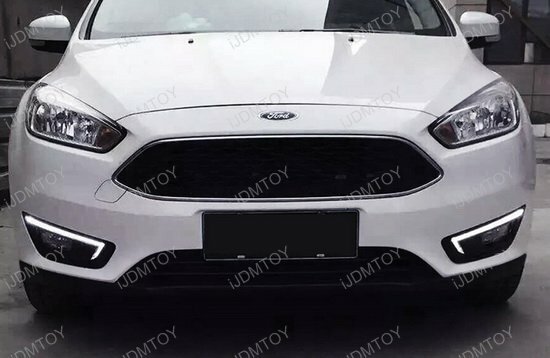 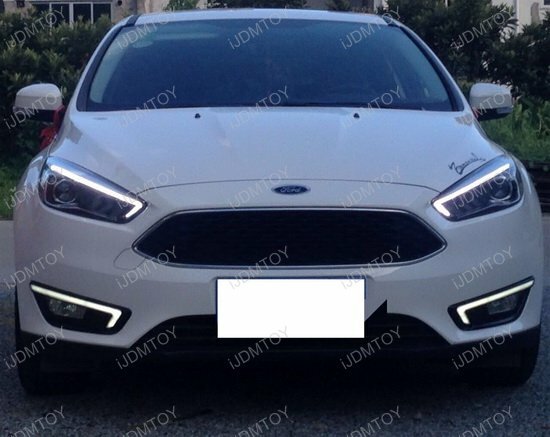 Q: What kind of output does this Ford Focus LED Daytime Running Light kit have? 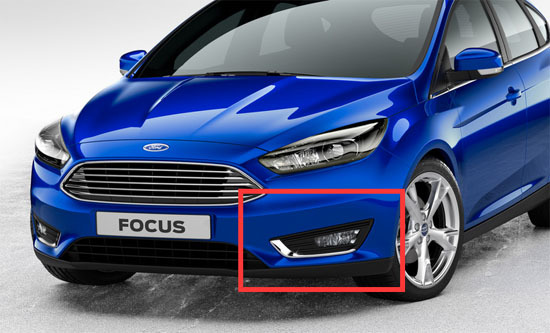 A: These Ford Focus LED daytime running lights have a continuous output so you don't see each individual LED emitter. 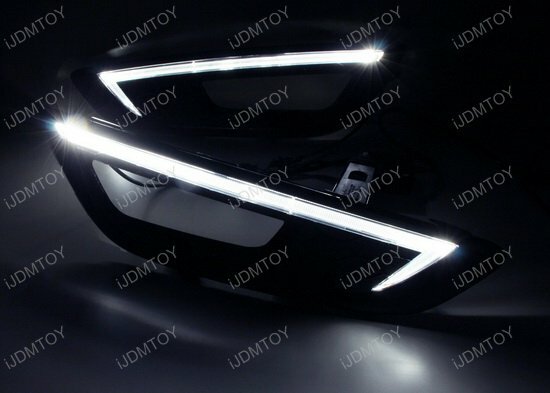 Rather, you will get a uniform glow for a classier look. 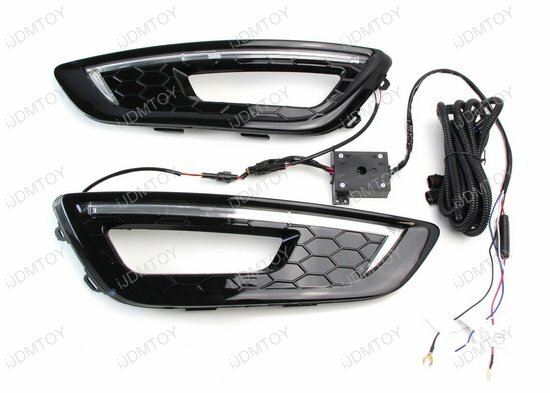 A: Step 1: Remove the factory fog lamp or bezel cover. 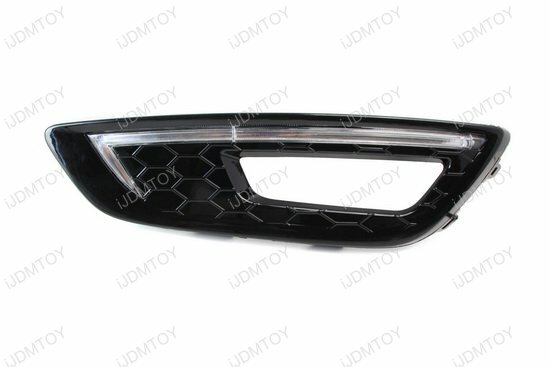 You can use a pry tool or flat head to give you some leverage to pop off the factory assembly. 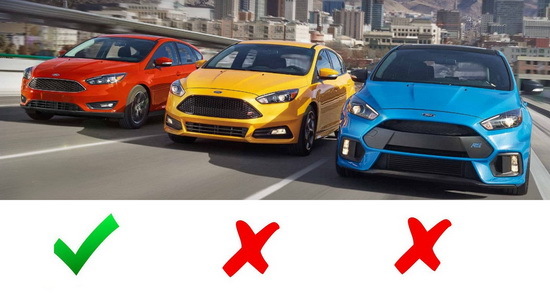 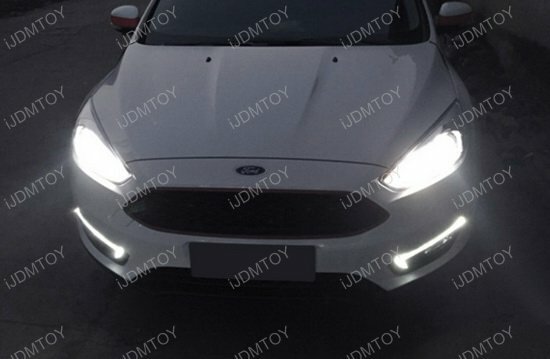 This page features a set of LED daytime running lights for the 2015-up Ford Focus (excluding Focus ST). 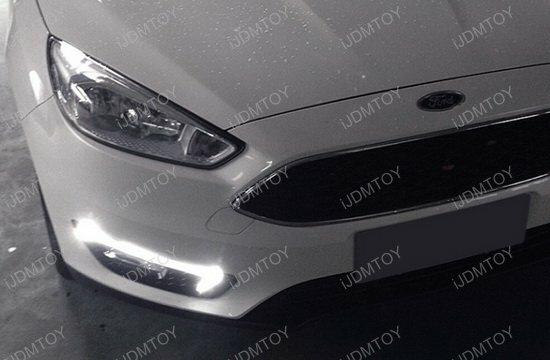 The Ford Focus LED assembly is powered by 15W Osram LED, with a continuous output so you don't see each individual LED. 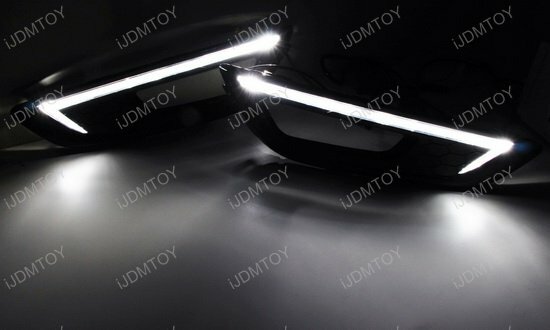 Rather, you get a much more superior output with a uniform glow, which is definitely more luxurious than its standard counterpart! 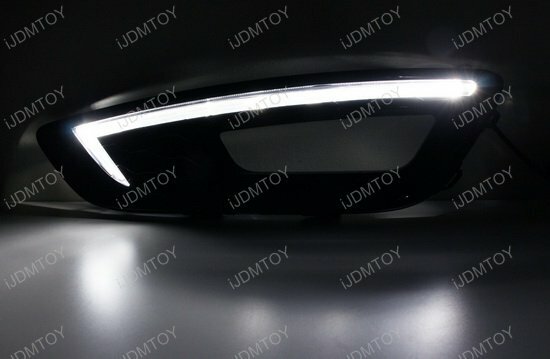 These LED DRL are a direct fit off of the lower bumper fog lamp location, giving you a nice classic LED upgrade.